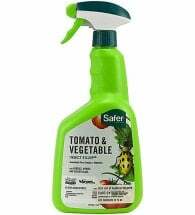 A number of tomato problems (insect, disease, environmental) can wreak havoc on your favorite plants. 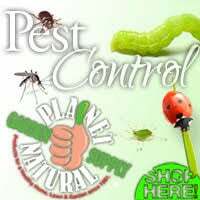 We identify them here and list earth-friendly solutions for getting rid of them. The first task when facing an unhappy tomato plant is to diagnose the problem. Websites with pictures can be enormously helpful here. One of the best is Texas A&M’s Tomato Disorders page, which presents photographs under five headings, green fruit, ripe fruit, stems, leaves, and roots. What you can’t do on that site, though, is type in a suspected issue and call up an associated picture. One of the best sites comes out of Maine titled Common Tomato Problems: Diseases and Disorders. These are those dense clusters of tiny insects you may see on the stems or new growth of your tomato plants. 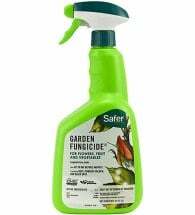 While small numbers are not a big deal — don’t be afraid to crush them with your thumb — large infestations can gradually injure or even kill plants. Pinch off foliage where aphids are densely concentrated, and throw these discarded bits into the garbage, not on the ground. 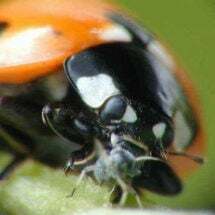 If the problem then seems manageable, release beneficial insects such as ladybugs or lacewings. 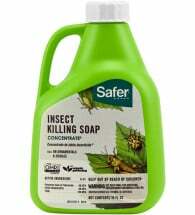 If it doesn’t, go for the insecticidal soap that uses natural fats and plant oils (Organic Material Review Institute listed) or natural sprays, many of which are listed for organic production. Soil sterilization: Completely sterilizing the soil is one option on small plots, but it’s toxic and sometimes expensive. 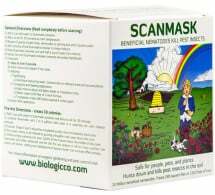 It also means that you’ve killed off all the beneficial organisms in the soil as well as the troublesome ones, so it’s particularly important to follow such treatment with a big infusion of clean compost. 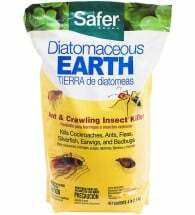 It would also be best to add earthworms, and an assortment of microorganisms as well, since doing so will restore the soil to full health and make it less vulnerable to further incursions by nematodes. Tomatoes can be stricken by an astonishing array of diseases. 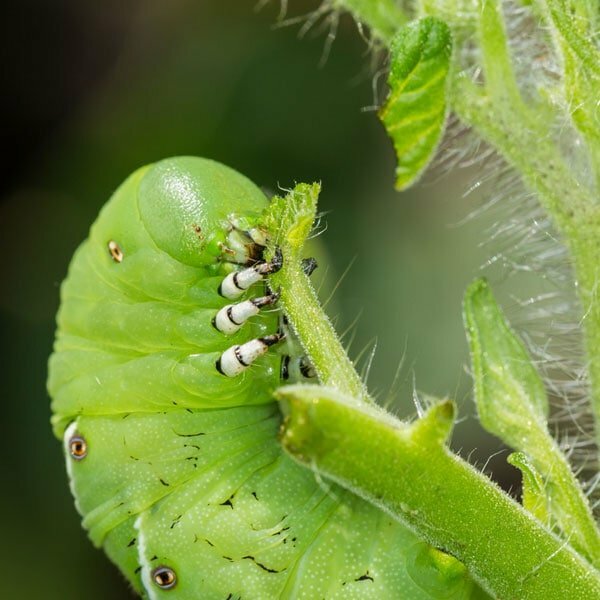 If you want to see the full list, go to the How to Manage Tomato Pests page at UC Davis, which discusses some 30 diseases that can afflict tomatoes. Tomatoes can get early or late blight, either white or grey mold (or both). 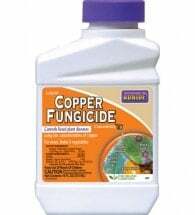 Then they can have problems with diseases with quirky names like curly top and corky root rot. It’s amazing that tomatoes are ever healthy. But they are, and it’s largely because the quandary never gets thoroughly established. After all, it’s a lot less work to nip troubles in the proverbial bud. 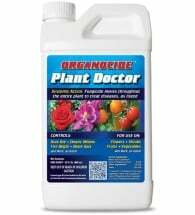 Approved for organic gardening. 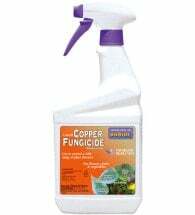 Bonide® Liquid Copper Fungicide controls a large variety of plant diseases including leaf curl, powdery mildew, black spot, rust, anthracnose and bacterial leaf spot. Use up to the day of harvest. If you’re at all susceptible to anxiety attacks, it will probably be of some comfort to know that disease is generally far less of an issue for backyard gardeners than for commercial producers. Furthermore, there’s a lot a gardener can do to minimize diseases in vegetable gardens (PDF). There are actually several closely related viruses (the tobamoviruses) that cause the wilted, mottled, and underdeveloped fern-like leaves characteristic of the tobacco mosaic virus. All are spread by what are termed mechanical means: something or something that’s been in contact with the virus touches an uninfected plant, and voila — you’ve got an infected plant. Sanitation is therefore of the utmost importance, starting with never smoking near tomato plants, as tobacco can carry the virus. Infected plants should be destroyed. 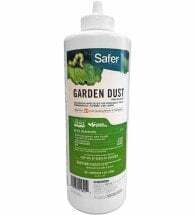 Backyard plants purchased from a reliable nursery or grown from certified disease-free seed and handled in a tobacco-free environment by only one or two people, are unlikely to develop this disease. Cat faced tomato plants are deformed to a greater or lesser extent, having deep grooves or indentations running from the blossom end all the way around to the stem. The condition results from cool weather or insect damage while the plant is in blossom. Tomato varieties with large fruit are most susceptible and tomatoes are often rendered inedible — although considered safe to it. To avoid the problem select resistant varieties whenever possible. The tomato’s skin will look bruised or leathery, the skin sunken and puckered. It is essentially what it sounds like, a sun-burn, tomato style, and it occurs when fruit is too exposed during hot weather. This issue primarily affects staked and trellised tomatoes, which are more aggressively pruned than are caged or free tomatoes. To prevent this problem, be sure to leave adequate foliage on plants when pruning. Reusable shade cloth can also be used to protect tender vegetable plants. Once sunscald has occurred, you cannot do anything for affected fruit, but you can provide shade for the unaffected ones.